A lively and engaging narrative history showing the common threads in the cultures that gave birth to our own.This is the first volume in a bold new series that tells the stories of all peoples, connecting historical events from Europe to the Middle East to the far coast of China, while still giving weight to the characteristics of each country. 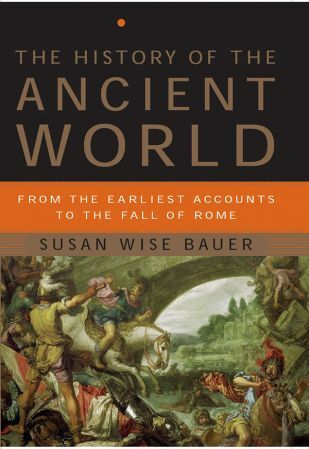 Susan Wise Bauer provides both sweeping scope and vivid attention to the individual lives that give flesh to abstract assertions about human history. Dozens of maps provide a clear geography of great events, while timelines give the reader an ongoing sense of the passage of years and cultural interconnection. This old-fashioned narrative history employs the methods of “history from beneath”—literature, epic traditions, private letters and accounts—to connect kings and leaders with the lives of those they ruled. The result is an engrossing tapestry of human behavior from which we may draw conclusions about the direction of world events and the causes behind them.